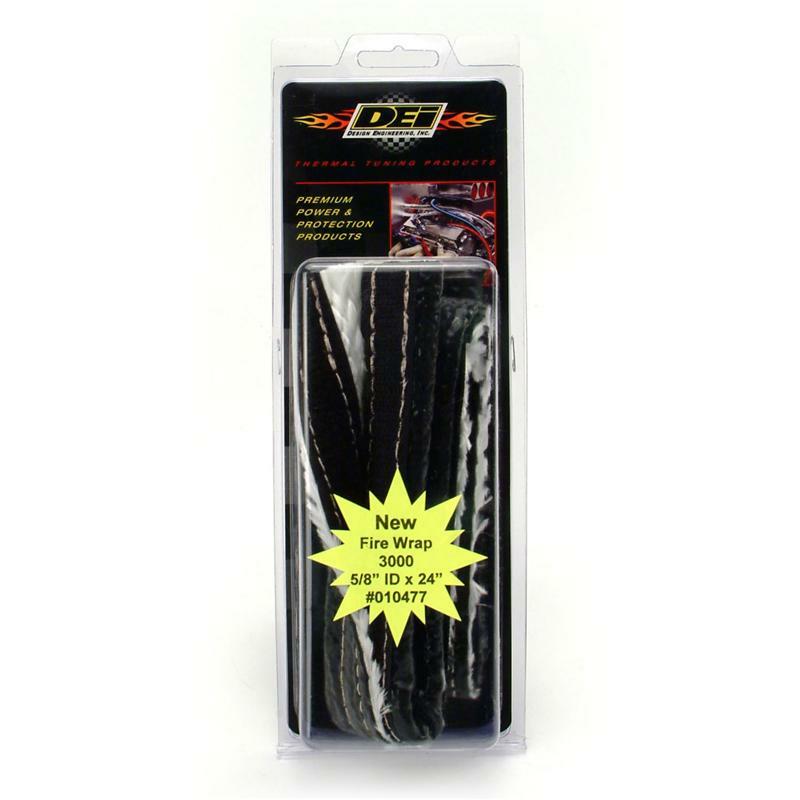 Constructed from a glass fiber sleeve, DEI Fire Wrap 3000 features a heavily coated outer sleeve with a proprietary compound consisting of iron oxide silicone rubber. 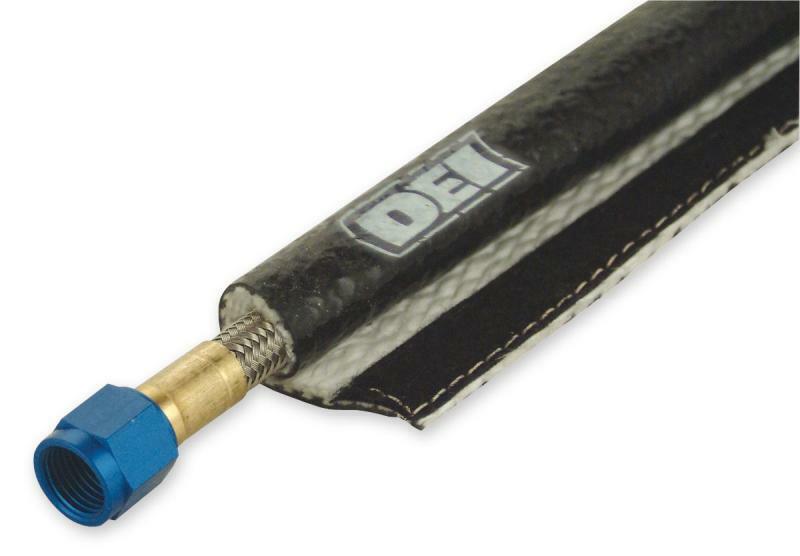 Using high temperature glass fiber thread, DEI Fire Wrap 3000 is flame resistant with a hook-and-loop Velcro edge closure design that is sewn internally for a simple and easy installation. 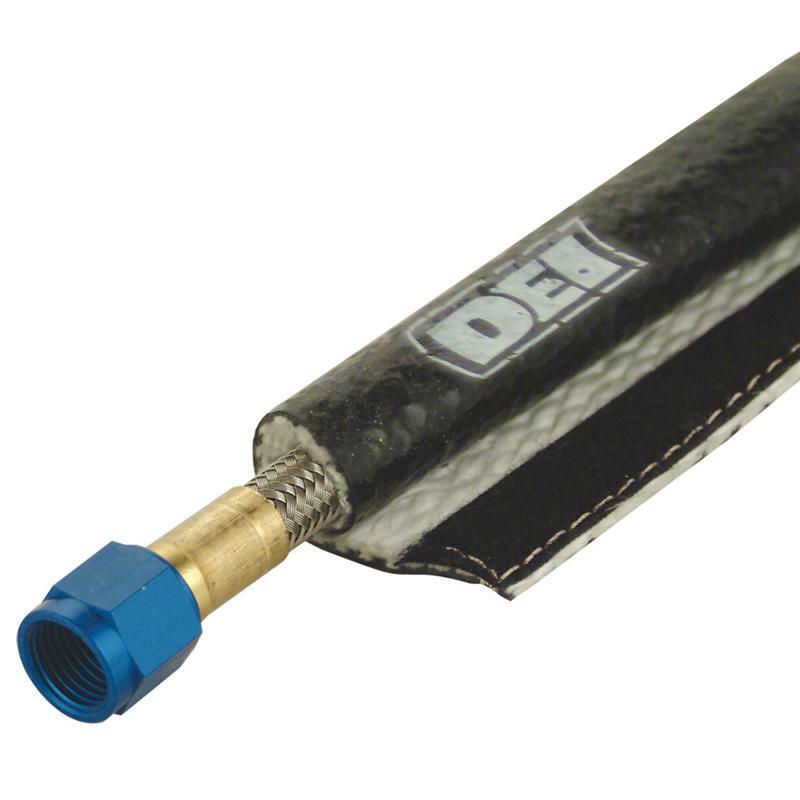 DEI Fire Wrap 3000 withstands repeated exposures up to 3000°F (1650°C) and 500°F (260°C) of direct continuous heat providing an excellent insulation barrier as well as protection against burns while working around engine bays. 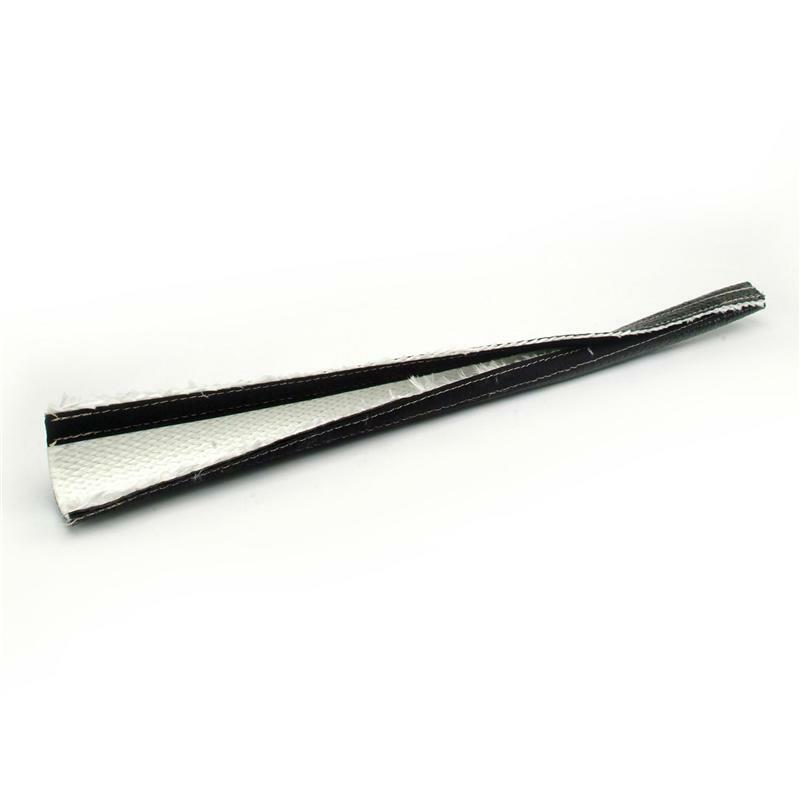 Insulate and protect wires, cables, hoses, fuel lines, electrical protection, use as wire looms, wire/hose/cable bundling, protect air lines, pnuematic hoses and much more.